We all love a coffee table book – glossy, colourful, tactile and packed with beautiful images – who can resist? So the launch of our new ani-M Interiors book is a real event for us – and one we want to share with you. When we decided to produce some new literature for ani M, we wanted it to be special, timeless – a real insight into the way we work. Somehow, a conventional magazine style format or brochure didn’t seem to fit the bill and gradually the concept of a ‘proper’ hardback book emerged. What we hope you’ll find in the book is a sense of how we create a beautiful home and how we can help clients make the right decisions, so that the interior design process is fun and free from hassle. 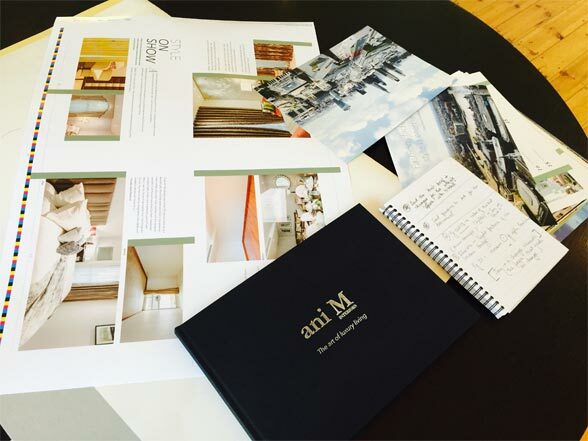 The whole ani-M team had a hand in the making of the book – from ‘ani M’ herself Anita Mehra, whose desire to create a high end interiors company was the driving force behind ani-M Interiors, to our designers, property stylists and support staff. We hope you will settle down to read our book in just the same way you might pick up a book on travel or fashion. We’ve tried to create a relaxing read that gives a glimpse into our world of design – so you’ll find out more about our artisan suppliers and craftsmen, our approach to design, our team and a look at some of the interiors we’ve created. We hope that, if you love design, you’ll love our book! Ultimately, the ani-M book is all about our vision. Our clients spend a lot of money on their homes and we want them to know how much we appreciate the trust they place in us. And we hope our book will reveal how much hard work goes into creating a new interior – one that they and their families will love for years to come. 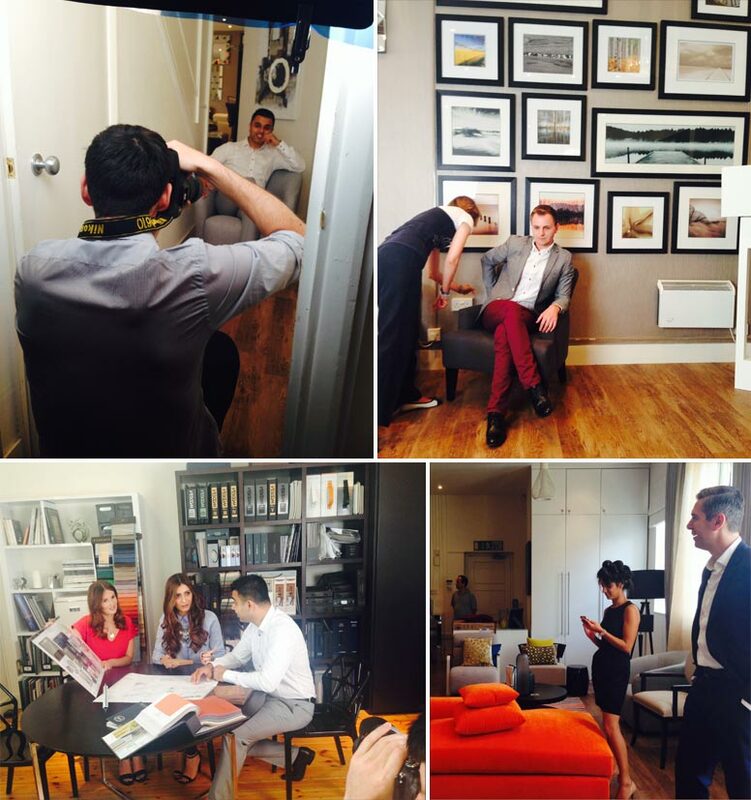 Finally, this was a real team effort so our thanks to all those who were involved in the making of the ani M book: ani M founder Anita Mehra, designer Jonathan Haste, writer Anita Waite, our in-house photographer and of course, the whole team at ani M Interiors. And so to the book itself – why not take a look at our e-book version here CLICK HERE or call us and we’ll send you a copy of your own. We hope you enjoy it and please do feel free to post your comments here. We’d love to hear from you.